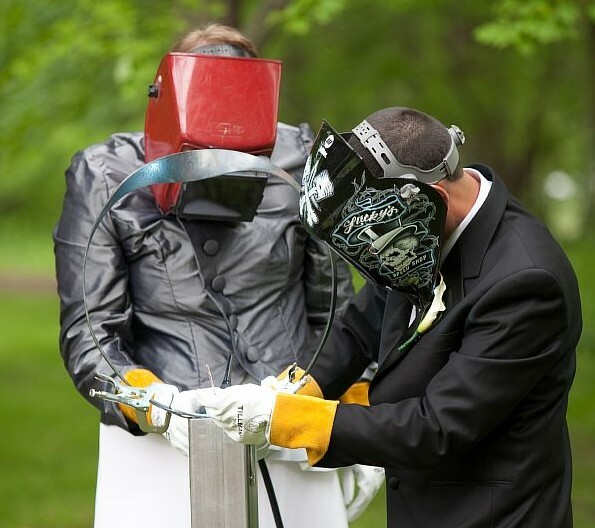 Have the couple weld two metal objects to symbolize their unity and being stronger together as one! Learn more about this idea on the source. See this idea using two halves of a metal heart.